Ah, the holidays. Time for getting together with friends and family. Holiday parties are great places to find desserts, candies and sweets, rich food, and even alcohol. While nothing is wrong with these things individually, when brought together they could spell disaster for your weight. 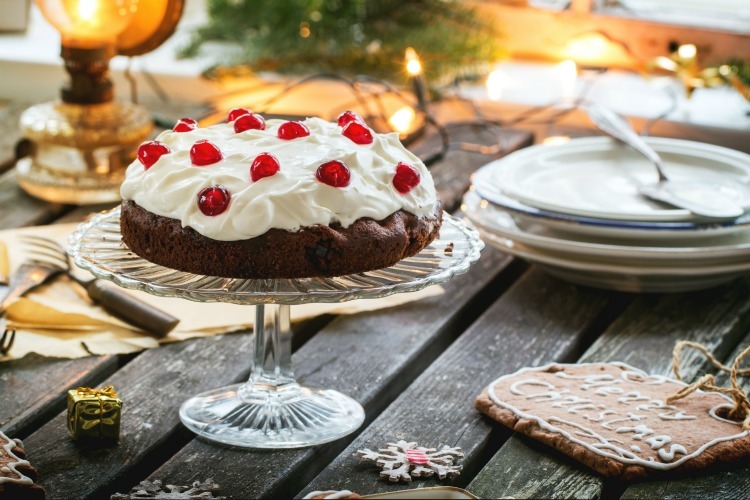 Over the holidays, people tend to gain weight because of the sugary, salty, and fattening ingredients in their favorite meals as well as their tendency to overeat and drink. With so many good foods at home and in restaurants, it may seem impossible to maintain one’s figure during the holiday season. When it comes to parties, especially, individuals find it difficult to pass up delicious treats and meals that may be floating around. While all of these temptations do exist, you don’t have to resign yourself to gaining weight in favor of enjoying a holiday party. In fact, there is a simple way to enjoy every holiday party you attend without worrying about the possibility of extra pounds. If you go to a party already worried about what you will eat and drink, you won’t have a good time and will only feel the stress. Parties are supposed to be fun, so remember to have fun whether it’s with your friends or family or both. Realize that while the atmosphere in a party could cause you to lose some inhibitions or even make poor choices that you are in control of what you eat and drink. You don’t have to walk away from a bash with the worry of carrying an extra pound or two on your mind. In fact, as long as you intentionally maintain your focus on choices throughout the party, you can almost guarantee that weight gain won’t even be an issue. With this said, you need only to remember a few simple tips to help you enjoy holiday parties despite the tantalizing treats they represent. If you come hungry or worse yet famished you will certainly overeat and over indulge in foods that are unhealthy. Eat a salad before you go, or some fiber rich vegetables. Fiber helps keep you full and does a great job of balancing blood sugars, and this will go a long way to letting you eat much less than you should otherwise. One of the biggest reasons people overeat is because they do not give themselves enough time to feel satiation. The brain takes about 15 minutes to register being full, so if you chew slow and give yourself a chance you can avoid eating too much. The main problem people face at parties is practicing self-control. In a loose, fun atmosphere, it is easy to push thoughts of diet and exercise out of the way in favor of a treat or an alcoholic beverage. While it is not a good idea to rigidly restrict yourself, you can go through the party with personally set limitations in mind. This could mean anything from having one small piece of cake to limiting yourself to a single glass of wine or champagne. The strategy is not to deprive yourself, but to give yourself just enough where you can walk away without guilt. Even with all the desserts and delicious courses offered at a party, you can allow yourself to enjoy these without going overboard. There is a difference between eating and tasting: one is to consume for nourishment and satisfaction while the other is to try something out. With these definitions in mind, you can navigate the different party foods and drinks by deciding what you would like to actually eat, and what is good enough to try. This way, you’ll be able to partake in the festivities, enjoy the holiday food, and maintain your waistline no matter how many parties you attend. With the holiday season just around the corner, you can begin practicing these new tips now. The right mindset, self-control, and of course the exercise of moderation are all important components of finding the balance between enjoyment and overindulgence. Don’t let the holidays become a stressful time because you’re worried about putting on a few extra pounds. Instead, remember to stay on track with diet and exercise routines when enjoying some down time this time of year. 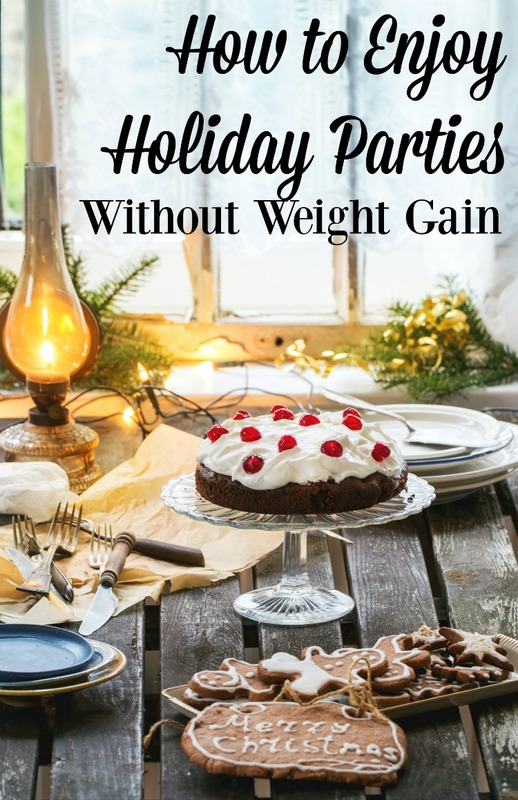 What are some ways that you approach holiday parties so that weight gain is minimized? Are there particular dishes you have a hard time avoiding? Great article! Thanks for the tips :) I have found it difficult in the past to not overindulge at holiday parties. I will definitely try to not go on an empty stomach! Take a look at the videos on my channel. All original shoots of Dallas/Fort Worth blues bands doing their own original songs. I hope to eventually cover every band and artist working our local scene.